All combat roles in each branch of the U.S. military will be open to women, Secretary of Defense Ashton Carter announced today at the Pentagon. Carter said that the military would be opening all “remaining occupations and positions to women. there will be no exceptions.” The implementation will take place 30 days from today. A Jan. 1 deadline was in place for the branches to open combat positions to women. The Air Force and Navy have relatively few jobs that currently exclude women, mainly in Special Forces units. But the U.S. Army and Marine Corps bar women from nearly 220,000 jobs in what are known as combat arms. These include positions in the infantry, artillery and armored divisions. Women will “be allowed to drive tanks, fire mortars and lead infantry soldiers into combat,” he said. They will also be able to compete for spots on elite Special Operations units, such as the Army’s Delta force and the Navy SEALs. In 2013 then Secretary of Defense Leon Panetta ordered the services to lift the ban on women serving in combat jobs in the military. The services were ordered to study the issue and develop an implementation plan. They were given until Jan. 2016 to either implement the policy or ask for special exemptions. At the time, women had been serving in war zones in Iraq and Afghanistan for more than a decade. In September, then Marine Corps Commandant Gen. Joseph Dunford recommended that women be excluded from competing for some front-line combat jobs in the Marines. Carter addressed that exemption request directly today. Gwen Ifill will interview Secretary Carter today, and you can watch that on tonight’s PBS NewsHour. P.J. 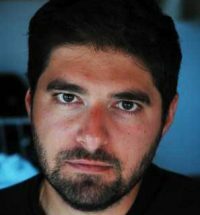 Tobia is a Foreign Affairs Producer at PBS NewsHour, covering the Middle East and North Africa. He is also the host and producer of the foreign affairs podcast "Shortwave." Prior to this Tobia spent two years in Afghanistan covering Afghan politics, life and the U.S.-led war.